"I worked with Cook's Corner on creating a consistent branding for themselves. 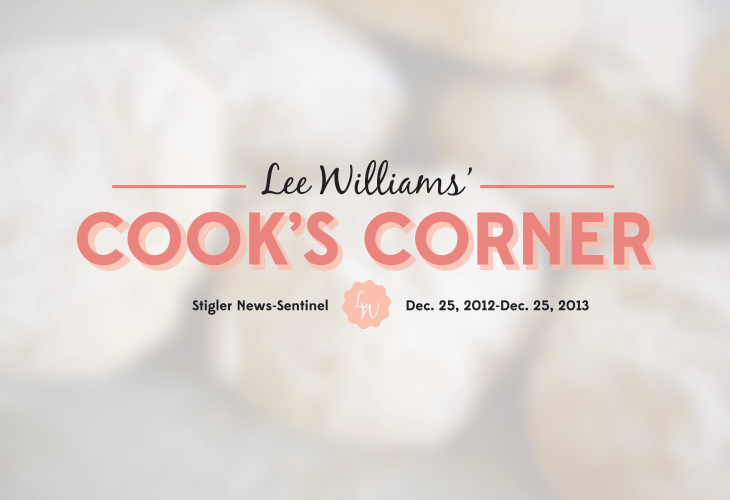 Cook's Corner is a column that appears in the Stigler News Sentinel and publishes a cookbook annually. 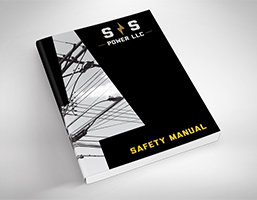 They needed a logo along with a different cookbook design each year. 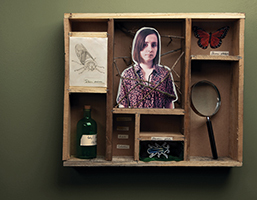 The target audience was housewives and a feminine touch is evident in the overall design. 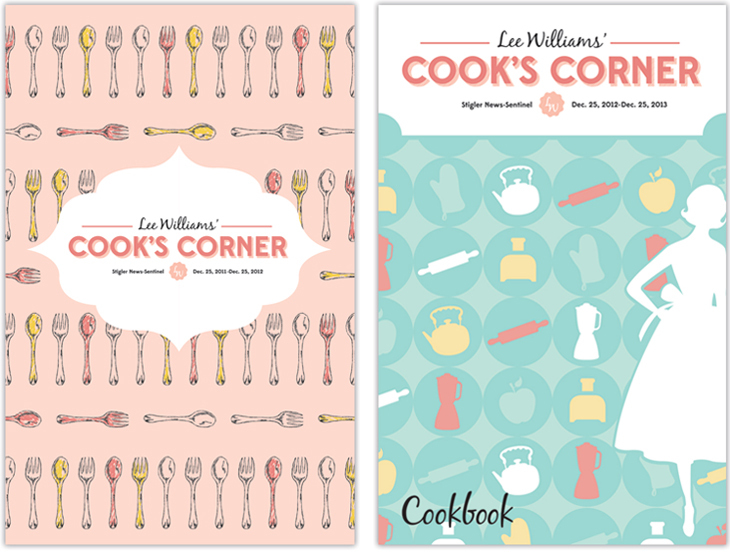 A bright, cheery color palette ties together each year's cookbook design."